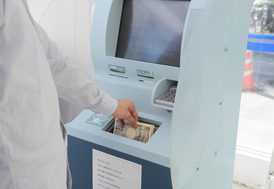 Our Main Business|Company Information|Japan Cash Machine Co., Ltd.
Based on our globally recognized validation technology, we develop and manufacture currency handling machines, banking machines, and equipments for amusement industry not only for Japanese, but also for overseas markets. JCM expands our business into a wide range of markets including banking, retail and transportation to offer components for ATMs, ticket dispensers, adjustment machines, vending machines and kiosk terminals both domestically and overseas while taking advantage of our reliability and experience built up globally as a currency-handling expert. We propose new technology and new products of high value by our local flexibility with established reputation through our own global network. 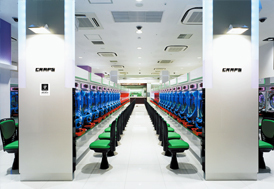 The technology accumulated through gaming market is now established in the Japanese amusement industry including pachinko and pachislot. 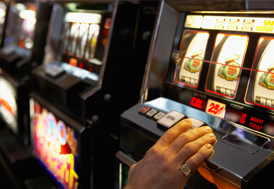 As being required to provide technology to validate notes and coins, and to carry balls and tokens, we offer our customers technologies and products that anticipate their demand, ranging from systems on the floor to backyard machines, and flawless services to create parlors with environmentally-friendly concepts.